Size Choose Size - Width 10.8" Width 14.8" Width 20.7" Width 28.5" Width 38.8"
The Link wall lamp is versatile lighting design that features a rectilinear form (akin to a frame) composed of solid brass – the “framed” negative space is literally “filled” with diffused light. 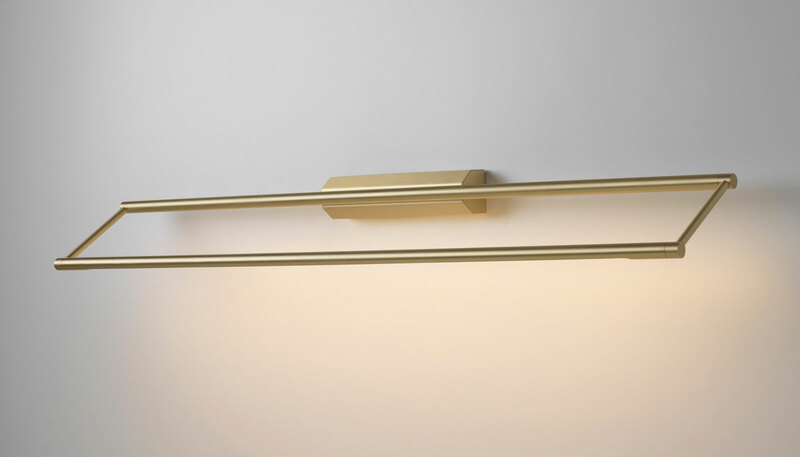 The front bar of the Link wall light can be pivoted within the frame to direct light; the entire rectilinear frame can also be pivoted – sideways when mounted vertically or up and down when mounted horizontally. Link is available in several sizes - each with a choice of finishes. Manufactured by CVL Luminaires Contract / CVL Lighting.